HAH! I was just wondering the same thing as I’m a student of Adam and his explanation makes sense to me too. I’m also teaching an ashtanga style class and want to know the safest chaturanga. Although spoken in a clear and convincing way, the video that you referenced above has significant inaccuracies and the medical evidence that exists on the topic (it’s sourced in a comment below), refutes the primary thesis of this video. This article is written by Paul Roache, a Dr. of Orthopedic Medicine with a specialty in Shoulder Surgery, strongly refutes the videos claims and logic. So do I. Rather than present a direct refutation of the video, though, I’d prefer to focus on the content of this article. 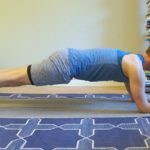 The primary thing that this article focuses on–and the video excludes–is the important of keeping the ball and socket stable when bearing the stresses of chaturanga. Keeping the arms strongly adducted increases stability (as referenced in the medical study below) and significantly decreases the risk of injury in the posture. 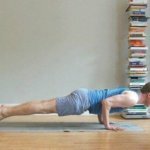 One thing you can do to test this is very simple: sitting where you are, recreate the shape of chaturanga in your upper-body. bend your elbows 90 degrees so that your elbows are close to your bottom ribs and your forearms and palms are facing forward. Firm your shoulder blades against your back and broaden your chest. Now, hug your arms firmly against the side of your torso. Feel the relative degree of stability that you experience in your entire upper body. Now, as the video suggest and we disagree with, separate your elbows away from your body and feel how much strength and stability you lose in your upper body. This should help answer your question! thanks for sharing all of your knowledge! I think the order in which you describe the cuing above is really important as to how it is interpreted by students. You are clear to say “firm your shoulder blades against your back and broaden your chest” before “hugging the arms in”. When a teacher focuses solely on hugging the arm bones in without the former, I have seen it create a collapse between the shoulder blades, ribs thrusting forward (thoracic spine out of alignment) and sometimes subtle (or not so subtle) winging of the scapula. The piece of the video referred to above (Adam’s video) that I think makes sense when you have someone who is focusing too much on adduction and compromising other areas of alignment is finding a sense of dragging the the hands/elbows/upper arms straight back while sliding the upper arms against the ribs. I’m also curious if you think an individual student’s build makes a difference in how this cuing comes to life in their body? Thanks for reading, Kerry. Thanks for pointing out that the order of instructions matters. And, as always, instructions should be given in pairs in order to create balanced, oppositional motions. There are a few pieces of Adam’s video that are indeed correct and I agree with the point that you’re referring too above. 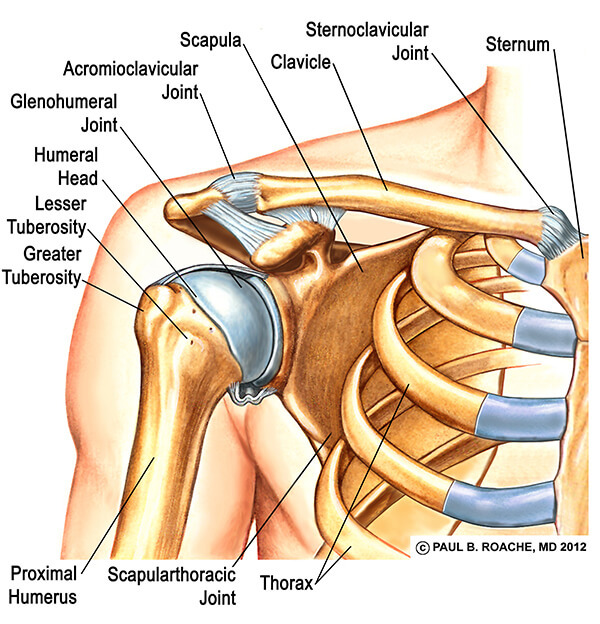 That said, the point that he makes is not nearly as important as the action of humeral adduction for GH stability. There is actually tons of data on this, which I’ve posted in the comment stream a few comments below. I don’t think that a student’s build makes a significant difference with regards to the fundamental actions and understanding that keeps the GH stable in weight bearing positions. Body composition may affect the degree of abduction, but not the general need for abduction. Thanks again for reading and commenting. 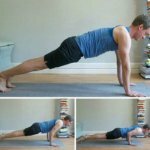 Will you also address the safe way to lower from chaturanga to the floor? The simplest answer is to bring your knees to floor first and roll down from your thighs to your hips to your torso. Good luck! 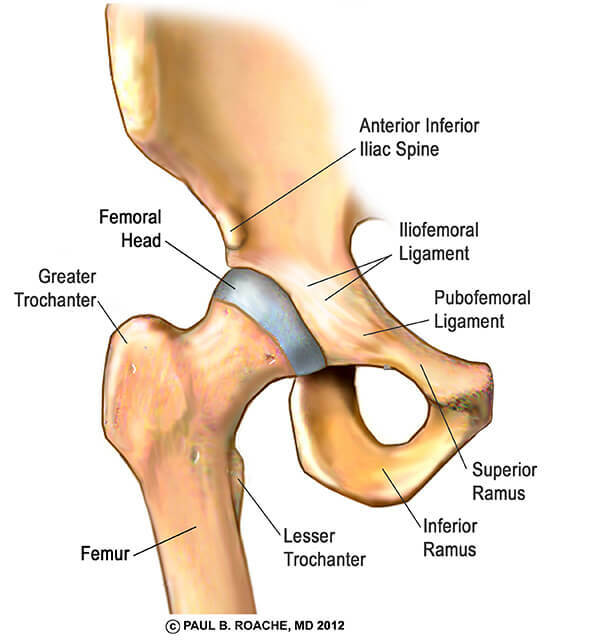 Hmm… you say that we lose shoulder stability when our elbows leave our sides. This makes little sense to me, either theoretically or in practice. Can you back up that statement? My apologies for the delay, I’ve been teaching an intensive in New York. 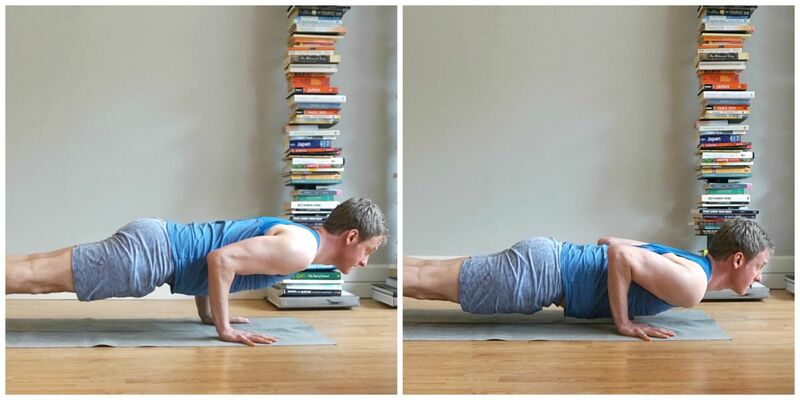 I’m sorry that the shoulders still make little sense to you in chaturanga–but, I understand, they’re complicated. With regards to your question, yes, I can substantiate the statement that adducted arms are more stable than abducted arms. First, this article is co-written with a shoulder expert and long-time yoga practitioner. He is Board Certified in Orthopedic Surgery and Sports Medicine, with a sub-specialty in shoulder surgery. This is his strong opinion and he qualifies as an expert in the field. Halder AM, et al: Effects of the Glenoid Labrum and Glenohumeral Abduction on Stability of the Shoulder Joint Through Concavity-Compression. 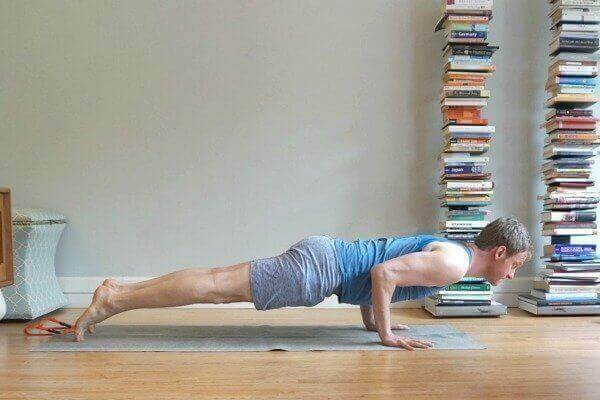 Chaturanga falls into the “hanging arm position” category–This simply means that the arm is next to the body. Have you seen this, or do you know a way around it? Yes. The video has several substantial inaccuracies. This article and the comments above address a more sound approach. Thank you, thank you and thank you for your clear and meaningful instructions! My students and I thank you from our healthy shoulders! I’m currently a athlete and my mom constantly begged me to do yoga with her, I always refused. I said yes one day and love it. iv lost 9 pounds in 2 weeks and got a whole lot flexible. Check out Michael Stone’s online course on his website called The New Wave of Yoga. He teaches all the shoulder/arm positions for yoga poses. Excellent course. I’ve been enjoying your articles but I have a question. As an athlete we’re taught to hug our elbows to our ribs as we lower to the floor. When we’re modifying our pushups we do them on our knees. Eventually I want to get beyond the modification and of course, many people can do that already. Which, if I understand the article correctly, takes our shoulders into extension. So how do you do a pushup if you can’t take your chest to the floor? Thanks! I’d discourage you from bringing your chest all the way to the floor when you’re doing push-ups, Danette. I know that they’re typically taught this way, but, again, I’d encourage you not to lower the chest to the floor. Great blog post! I have wanting to strengthen my arms via yoga poses.